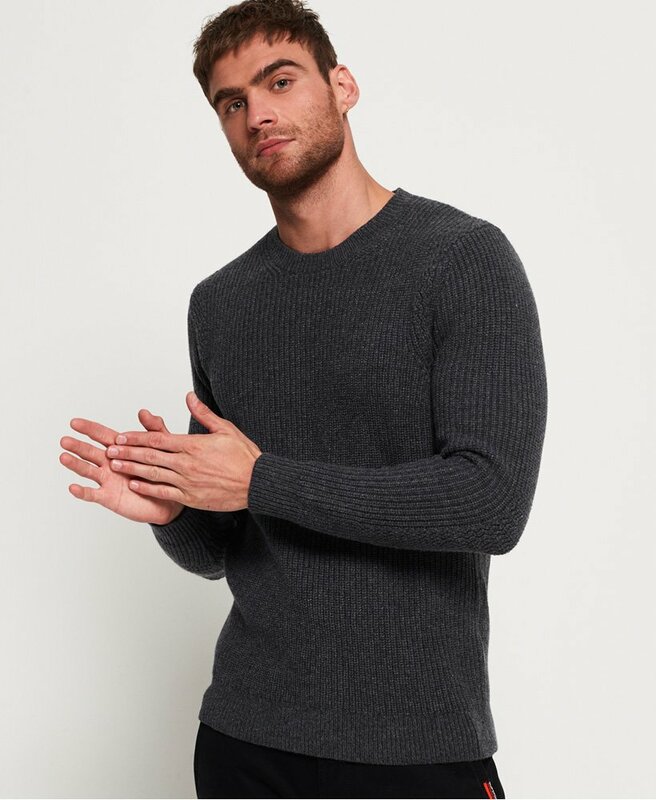 Superdry men’s Premium through stitch crew neck jumper. Be prepared for colder weather with this premium crew neck jumper. Crafted from a wool blend, this premium knitted jumper is designed to keep you warm on those colder days. This jumper also features a variety of knitwear techniques for extra detail and the perfect fit. The jumper is completed with a subtle Superdry Premium logo patch on the sleeve. Style with slim jeans and throw on one of our premium leather jackets for a classic look.